SEVEN SISTERS is an assembly of work by Limited Nobility from the Akin Studio Program at MOCA meditating on the act of vanity. Inspired by early woman, the seven tonal mirrors invite you to participate in self-admiration and contemplate the limitless beauty of the female form. Attend the opening tonight from 7-11pm at Ease - 1446 Dundas St W.
DINE is a casual social gathering where practicing artists of various disciplines and media can present and discuss their work in ANY stage of its production and also receive feedback from creatives and peers. This will be an opportunity for the community to come together and see what our emerging artists are working on and to ultimately create conversation and connect creative minds. *if the work contains video or sound, please specify the duration of the work. If the work is photography, please specify roughly how many images you plan on showing. This gathering is hosted by Evan Hutchinson a practicing lens-based artist in Toronto with the desire to connect with emerging artists in the city. This casual social gathering will be an opportunity for practicing artists of various disciplines and media to present and discuss their work in any stage of its production and also receive feedback from creatives and peers. This will be an opportunity for the community to come together and see what emerging artists are working on and to ultimately create conversation and connect creative minds. Join these industry experts as they talk about the challenges and advantages of starting your own cooperative workspace. Pick their brains and learn from their successes and failures. Come and meet other Etobicoke artists who are interested in collaborating and sharing space. The talk is FREE but attendees must RSVP. Date: Wednesday, November 21st 2018. Location: Art Etobicoke, 4893a Dundas Street West, Toronto, ON M9A 1B2. Presenters include Djuna Day of Djuna Day Studio, Frances Hahn of OCADU and Samar Hejazi of Akin MOCA. Oliver Pauk and Michael Vickers of Akin will also be in attendance. Project Gallery is pleased to announce its 6th annual holiday salon-style exhibition on display from now until January 6, 2019, featuring hundreds of artworks including works by Akin King artists Rebekah Andrade and Mark Liam Smith and Akin Dupont artists Sarah Letovsky and Sara Pearson. 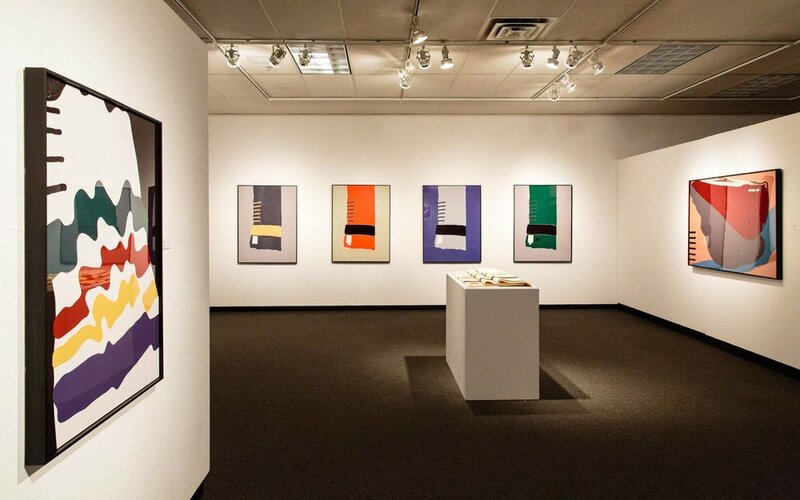 Project Gallery integrates this historic exhibition style for this show. The Salon exhibition style was established in 1667, by the French Academie des Beaux-Arts and held in Paris at Louvre. In order to accommodate the vast quantity of work submitted by students of the Academie des Beaux-Arts, artworks were displayed from floor to ceiling with little space separating frames. This style has since been incorporated throughout history in museums and galleries. Toronto Potters Annual Winter Sale at the Botanical Gardens - Last day today! Today is the last day to visit the 2018 Toronto Potters Annual Winter Show and Sale at the Toronto Botanical Gardens. The show runs until 4pm TODAY! Check it out while you can! Bringing together a diverse and talented group of ceramic artists from across the city for this special annual event, there is a spectacular selection of one of a kind handmade pottery, sculpture, ceramic art and accessories for sale by local artists including Akin King studio members Natalie Waddell and Erin Candela. Toronto Potters was founded in 1979 as a non- profit, volunteer-run association, with a member base that expands beyond the city of Toronto. For almost four decades the association has been committed to the organising and sponsorship of clay-related activities that contribute to the artistic growth of its members. Membership is open to all ages, experience levels and ceramic styles. Click here for more info. Mark your calendars! You are invited to join Akin on November 17 starting at 1pm for special tours of some the creative spaces on Sterling Road. Come along as creative directors, curators, artists and staff provide free guided walkthroughs and tours of their current exhibits, projects and spaces. Free to attend. All are welcome, open to the public. The more the merrier and kid friendly! 1pm- Meet at justseeds Toronto (227 Sterling Rd, East Building #103, just south of Merchant Lane), a print studio and international artists' cooperative. End the crawl at Henderson Brewing Co + a special treat! This crawl will feature a screenprinting demo at justseeds, a ceramic demo at Mud Makers Studio and a special performance by artist Jeneen Frei Njootli at MOCA Toronto. Attendees are encouraged to bring a shirt or apron they don't mind getting messy if they would like to participate in any of the hands on demos. Please note that any attendees who wish to explore other parts of the museum after the performance will be required to purchase a ticket before continuing. Special thanks to Henderson Brewing Co for their support of this event and all of our hosts! Joining the crawl late? Follow us on Instagram so you can find out where to meet us! Just Seeds, House of Anansi Press, DHP, Art Metropole, MOCA and Henderson Brewing are all accessible venues. They all have step free access to the main entrance and are level throughout. There are fully accessible washrooms at MOCA and Henderson Brewing. Mud Makers Studio is not currently wheelchair accessible. Akin regrets this barrier to access. The main entrance (located on Sterling Road) has a set of stairs leading to the second floor. Please let us know of any other accessibility needs so that we can do our best to assist you. Please email janet@akincollective.com at least one week before the event and we will do our best to accommodate. Thank you! 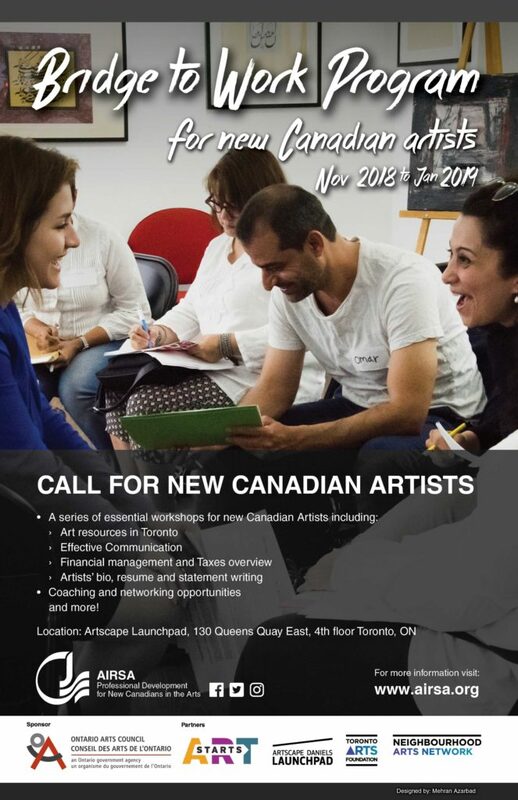 OPEN CALL to all Ontario based artists. John B. Aird Gallery is seeking works from 5 to 8 emerging artists that deal with themes of displacement, home, and migration. Feelings of displacement and loss of home are common experiences for many people in and around the Greater Toronto Area. Globally, we're in the midst of a refugee crisis resulting in huge amounts of immigration worldwide; locally, high rent prices in the GTA are forcing people out of the downtown core. This exhibition will include art that deals with themes of transience, home, and migration. This is an opportunity to showcase different voices in Toronto and surrounding areas. We're proud to provide a platform for emerging artists. Opening reception: Thursday, February 28, 6:00 – 9:00 PM. Artwork delivery: Sunday February 24, 10:00 AM - 12:00 PM. Artwork pick up: Saturday March 23 , 10:00 AM - 12:00 PM. 5 to 8 artists will be selected from the pool of applicants for inclusion in the exhibition. Entries will be juried by digital images only. Send images in jpg format. Photographs, slides, or printed images will not be accepted for jurying. with the CARFAC 2019 Minimum Fee Schedule. Airsa’s program for artists and art administrators, created in partnership with Art Starts, Artscape Launchpad, Neighbourhood Arts Network, and Turtle House Art Play Centre. 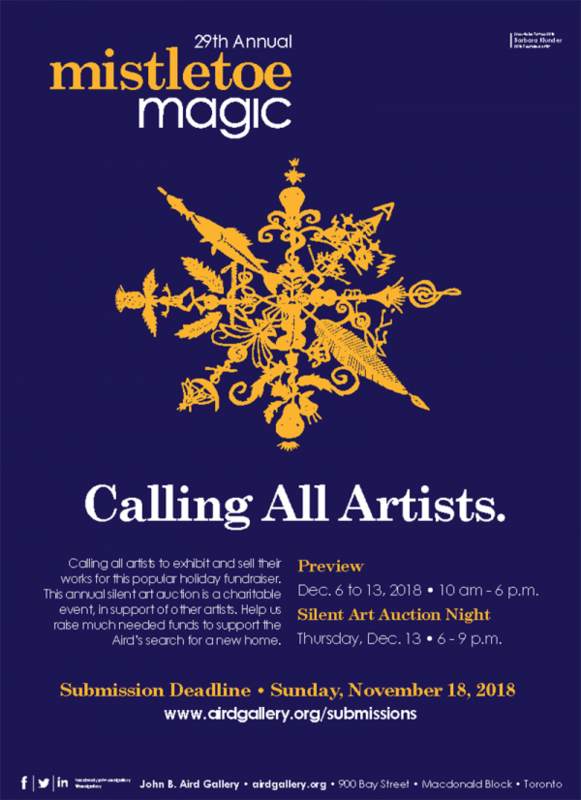 Calling all artists to exhibit and sell their works for this popular holiday fundraiser. This annual silent art auction is a charitable event in support of other artists. Objectives: To raise funds needed for the Aird Gallery’s year-round programming (12-13 exhibitions per year) and to increase the visibility of the gallery, the participating artists and organizations, while remaining free of charge to the public. Format: A charitable exhibition and silent auction of small artworks in two or three dimensions no larger than 24” or 61 cm (framed) in any dimension. A Preview Period precedes the auction night. During the preview, artworks can be purchased if a buyer pays the full retail price. Preview and Pre-Bidding: Thursday, December 6 to Thursday, December 13, 2018. Gala Fundraiser Night: Thursday, December 13, 2018, 6 to 9 p.m. Location: John B. Aird Gallery, 900 Bay Street, Toronto (Bay at Wellesley). Artwork: There is no entry fee to submit works. Artists are invited to provide small affordable artworks. Submissions in a range of media including fine, decorative and functional works of art and craft are encouraged. Artists are welcome to submit up to three works. The Gallery’s preference is for work priced between $200 – $600 retail. Artists who donate 100% of art sales will receive a charitable tax receipt. Are you, or do you know, an artist, collective and/or culture group interested in working with young families and multi-generational audiences? If so, the Art Gallery of Ontario (AGO) has an opportunity to share. The AGO is launching an innovative community residency, in conjunction with our winter exhibitions, public programs and learning streams. 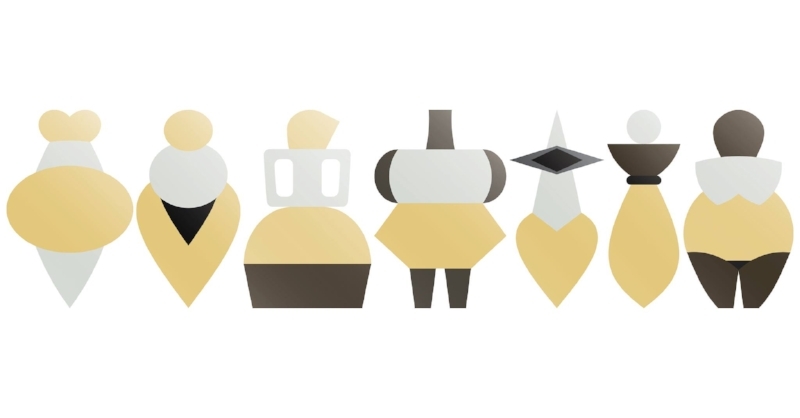 As a destination of choice for families of all shapes and sizes during March Break, the AGO invites artists and collectives to apply for an interactive two-month long residency (February 4 – March 31, 2019) to present their work as part of the AGO’s program of activities throughout March Break (March 9 – 17, 2019). We are looking for artists who can conceptually combine contemporary art practices with maker experiences and live performance, and create a platform for experimentation and engagement for families during our winter season. The artist or collective in residence will be asked to develop and present one distinct, interactive, collaborative artist project in Walker Court, our central exhibition space. In the case of a maker project, the artist project installation would accumulate over nine days; for other disciplines, the artist project would develop throughout and culminate at the end of March Break. The presentations should be geared for large multi-generational audiences, with a particular focus on young families. The selected artist will have the opportunity to work with and join the AGO’s programming team while receiving valuable feedback from artist-educators, family facilitators and a production team to realize their proposals. An honorarium of $8,000 CDN will be provided for the successful artist or collective in residence, including production time and material expenses. The successful artist or collective in residence must be available March 8 – 18, 2019 for program implementation. Your work will inspire curiosity, fun, conversation, engagement, collaboration, spectacle and social relevance. Application deadline: Thursday, November 15, 2018 @ 11:59 pm EST. We are excited to feature new work by returning artist and Akin Dupont member, Rebecca Jane Houston. Rebecca’s piece, “Perfect Circle” will be on exhibit in our Vitrine galleries located at 1485 Dupont and 1747 St. Clair Avenue West over the next two months. Akin Collective + Akin Projects are excited to present our 2018 programming in two Vitrine Galleries located at Akin Dupont and Akin St. Clair. These miniature galleries feature the diverse talent of our members with travelling installations rotating each month. Each artist will be featured for the first month at Dupont and second month at St. Clair. For more information about our artists and our programming, join us on Instagram @akinvitrine. ‘Perfect Circles’ will be on view for the month of November in our Dupont Akin Vitrine Gallery, located in the Clock Factory Building at 1485 Dupont Street (entrance on Campbell Avenue). Find Akin Studio 215 on the second floor and follow the sign into the hallway around the corner. The building is open from 9am to 6pm, Monday to Saturday. The exhibition will then travel to the Akin St. Clair Vitrine Gallery and be on view for the month of December at 1747 St. Clair Avenue West. Gallery is street level and can be viewed at any time. Join us to celebrate Desert Pet Press’ (co-founded by Catriona Wright and Akin Dupont member Emma Dolan) return from the underworld! We’ve resurfaced with two new chapbooks: Lilith by Jacqueline Valencia and Sea Burial Laws According to Country by Kasia van Schaik (Kasia Juno). Where: Reunion Island Coffee, 385 Roncesvalles Avenue, Toronto. Please arrive “…washed and dressed in handmade clothing, the seams left unfinished” (Kasia van Schaik, “Russia”) and be prepared to “Get dizzy and pretend you’re a half-nymph, / part baby dragonfly, part insatiable want” (Jacqueline Valencia, “Hey have a holy time”). There will be chapbooks and beer/wine/coffee/tea for sale. There will be short readings by the poets. There will be surprises. Emma Dolan is an illustrator and designer based in Toronto, Canada. Her primary focus has been in publishing, designing books for publishers across Canada and the United States. Emma is the co-founder of Desert Pets Press, as well as the graphic designer for The Puritan. Migratory Crisis is a multi-channel video screening and talk that brings to light the crisis in Central America as Nicaragua’s political turmoil, which began in April 2018, is forcing many to flee to Costa Rica. This presentation will include the visual material that has been created by the people in Nicaragua to portray what they are living currently. Using videos posted on social media on this conflict, artist Marton Robinson in collaboration with Marcela Araya Espinoza will reveal the attacks on Nicaraguan asylum seekers in Costa Rica. The United Nations estimates that as of July 31, 2018, about 23,000 Nicaraguans requested asylum. Despite this increase and the media’s speculation about an alleged "migration crisis", the migratory flow between these two countries has its historical roots since the late nineteenth and early twentieth centuries. This media speculated crisis has been used as a political strategy by conservative and fundamentalist factions in Costa Rica, while through hate speech, discrimination, xenophobia and racism, are causing violent manifestations of groups identified as nationalists toward Nicaraguan refugees and migrants. Would you like to be part of our creative journey with a vision of connecting to and celebrating a richer life through the arts? Are you excited for the future we are building for Neilson Park Creative Centre’s next quarter century? NPCC is entering into its next 25 years with a new bylaw, board job descriptions, and renewed expectations of the role of the directors of the Board. New Directors will be elected for a three year term, some key skills are required to support the operational demands of a not-for-profit, including project management, change management, financial management, revenue development and community outreach. If you are interested in becoming a board member and are able to commit up to 15 hours a month, prepare for and engage in meetings and represent NPCC in the community please submit your application by November 9, 2018. Be a part of the Gladstone Hotel's Grow Op 2019! Celebrating its seventh year in April 2019, Grow Op is an exhibition of urbanism, landscape design and contemporary art that cultivates ideas across a broad range of disciplines. This year's theme is ENERGY! Clean energy, dirty energy, social energy, positive energy, negative energy, climate energy, embodied energy, resilient energy. Do we hoard, waste, commodify and burn it? Or do we store, reuse and renew it? Let's explore how humans and other species live within and without natural systems of energy, change, abundance, scarcity, decay and life. The Gladstone invites a diversity of proposals from collaborative teams, collectives and individuals that engage with landscape, species and habitat through installation, sculpture, performance, digital media and more to create a provocative experiential exhibition. Our October/November artist is Akin St.Clair alum, Yamandu Sztainbok. Yama is an illustrator, cartoonist, and essayist. His piece, “No Room” will be on exhibit in our galleries located at 1485 Dupont and 1747 St. Clair Avenue West over the next two months. Akin Collective + Akin Projects are excited to present our 2018 programming in two Vitrine Galleries located at Akin Dupont and Akin St. Clair. These miniature galleries feature the diverse talent of our members with travelling installations rotating each month. Each artist is featured for the first month at Dupont and second month at St. Clair. For more information about our artists and our programming, join us on Instagram @akinvitrine. NO ROOM will be on view for the month of October in our Dupont Akin Vitrine Gallery, located in the Clock Factory Building at 1485 Dupont Street (entrance on Campbell Avenue). Find Akin Studio 215 on the second floor and follow the sign into the hallway around the corner. The building is open from 9am to 6pm, Monday to Saturday. The exhibition will then travel to the Akin St. Clair Vitrine Gallery and be on view for the month of November at 1747 St. Clair Avenue West. Gallery is street level and can be viewed at any time. For more information about Yamandu and his work, follow our Instagram account @akinvitrine.